Being the “Godfather’s of K”, nobody has more experience with the Honda/Acura K-Series than Skunk2. Our years pushing the limits of the K-Series continue to make their way into Skunk2’s products, allowing racers and enthusiasts the opportunity to enjoy race engineering and technology right off the shelf. This time around Skunk2 has created a lightweight and aero contoured 106mm Billet K Series Crankshaft. 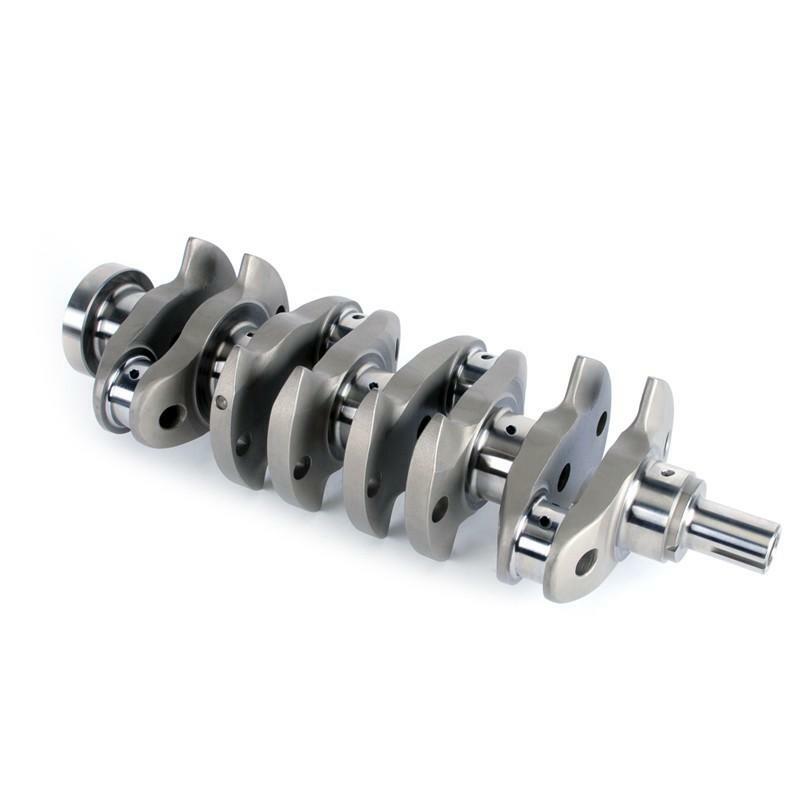 Skunk2 Crankshafts are made from the finest grade 4340 steel billet material for unmatched durability. The aerodynamic contoured counter weight design, gun drilled and CNC direct shot oil holes are what sets it apart from the other aftermarket or OEM crankshafts. The aero contoured counter weights design reduces windage and creates less oil resistance which in return produces horse power gains. The Gun Drilling lightens the total weight of the crank and adds strength, the direct shot oil holes create priority oiling all are advantages that impact track performance. Nitride, surface finish and exacting tolerances make for the best bang for the buck crankshaft.